1. 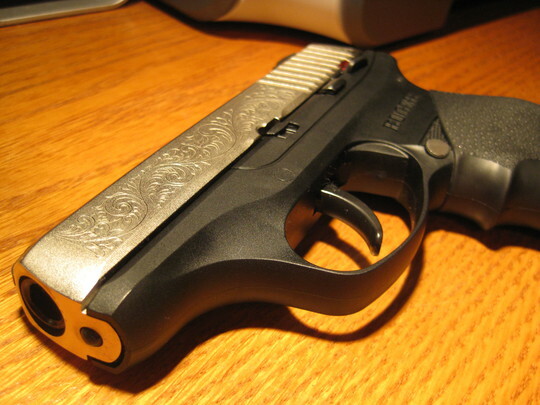 Have you obtained training in the safe and proper use of a firearm? If not, do some research and locate a basic firearms safety class in your area to attend BEFORE you purchase your new gun. This will help you better understand the basic safety and operation of a gun, and start to familiarize you with the different types that are available in today’s market. A good class will include not only how to operate a gun, but also help you to understand the proper mindset necessary to safely do so, as well as proper storage and maintenance. 2. Practice. Are you willing to practice enough to stay competent in the use of a firearm? Be honest with yourself. If the answer if “No”, you should probably abandon the idea of owning a gun. If the answer is “Yes”, you will need to locate one or more ranges in your area that are open to the public or consider joining a gun club. Once you have completed your training class, you should consider visiting a range that offers rental guns and try out several. Expect to pay for use of the range, rental fee, ammunition and targets. Avoid buying a gun without first shooting one just like it. You may need to make several trips to the range before you decide on the “one” right gun. Take your time, and don’t let anyone talk you into something just because they like it. 3. Take your time. Shop around and compare selection and price. Again, don’t let the sales person or a friend talk you into a particular gun just because they think it is the “best” gun for a woman. Only you can decide what is the “best” gun for you. This is an investment, and more importantly, it is a tool that may save your life someday. You need to feel comfortable with it, and you need to like it. Don’t be afraid to get what you want. Believe me, I love them just as much as the next guy. I’m not going to talk about how awesome they are in this article, though. For the purposes of this topic, I will be providing you with a few important reasons as to why we should be keeping our firearms stock…at least the ones we carry around with us. Imagine this: One of your worst fears has become a reality, and that was the need to pull the trigger of your firearm in self defense. You have just killed someone. As soon as that happens, your life changes immediately. One of the first things to happen will be for the police to hold your firearm as evidence. Now, imagine that you installed a nice new trigger with a lighter trigger pull. Let’s say that your stock trigger pull was 6 lbs and your new trigger pull was 3 lbs. Whether you like it or not, this could be used against you in court. A lawyer could throw out the idea that, had you maintained the stock trigger pull of 6 lbs, you may have had time to stop yourself from pulling the trigger before it hit it’s break. You and I both know that we should be keeping our finger away from the trigger until we are absolutely ready to fire, and no matter the pounds of pull, we would still be pulling the trigger if required. However, people in the courtroom may not know this and may form other opinions that are based on the lawyer’s discussion of the topic. A side note with the example above is that, if presented with this in court, the manufacturer of the firearm is likely to not side with you because the firearm has been modified from stock. They would probably never be a direct part of the conversation anyway, but it’s still something to consider. Even more so with a modification such as the trigger, make certain that if you must do this to have it done by a gunsmith. Because if you are in the situation that deals with a wrongful death suit or similar occurrence, you have paperwork stating that the work was performed by a professional. What can I do? Let me do MODS!! Ok, calm down. There are still things that you can do to make your carry firearm better. Modifications that help with the handling of your firearm, such as aftermarket sights and grips, are generally acceptable. With sights, it’s still a good idea to have them installed by a gunsmith. Why? Better safe than sorry. Remember, a lawyer willsometimes try and spin the case in the opposite direction of where you’d like it to go. They are there to win the case just like you are. Don’t give them any advantage that would hurt your case. If you have a firearm that you carry and you’re unhappy with the trigger pull, getting a new firearm to carry may be a better option than modifying or replacing the trigger. If you have a firearm with a safety that you don’t particularly like, replacing it with a different firearm without that type of safety is a better option that removing or disabling the safety on the other. Plus if it’s stock and it doesn’t work, you should be moving along to another firearm. Sure we want to make things better, but a stock firearm should function properly all the time. Save the modifications for your competition or range firearm. 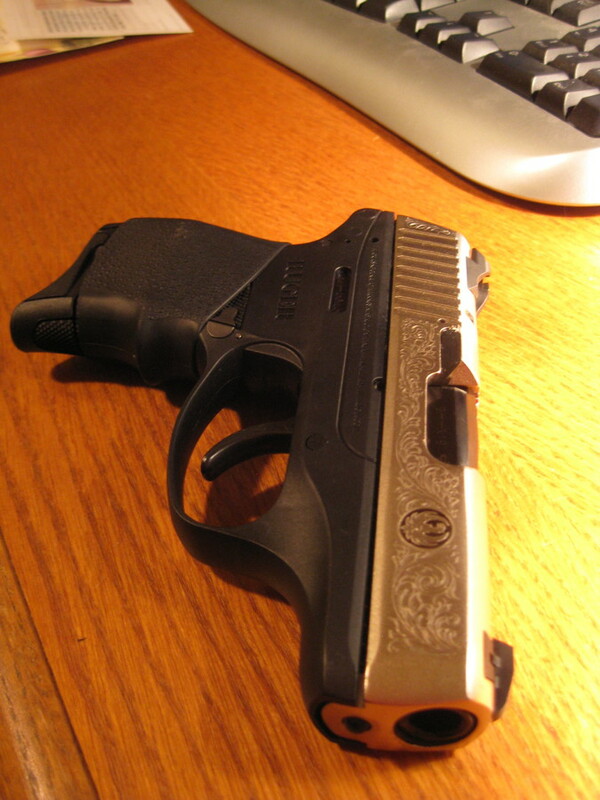 Many localities actually require permission from a judge to allow modifications to a firearm that you carry. Make sure to check your local and state laws ahead of time. Every Gun Is Always Loaded…. UNIVERSAL SAFETY RULES!!! 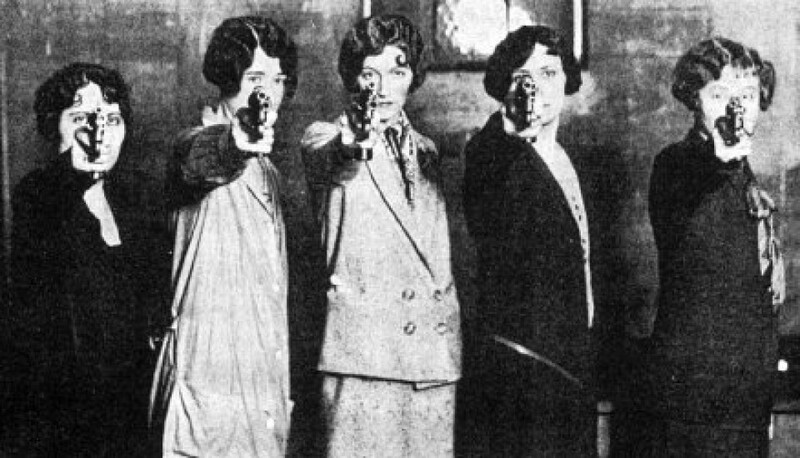 KEEP YOUR FINGER OFF THE TRIGGER UNTIL READY TO SHOOT!! A man’s handgun went off while he was holding it as he got into his truck in the parking lot of a western Pennsylvania gun store Saturday, and the shot killed his 7-year-old son, authorities said. Joseph V. Loughrey, 44, of Sharpsville, was getting into the truck when the 9 mm handgun discharged, wounding Craig Allen Loughrey in the chest, according to state police. The boy died at the scene at Twigs Reloading Den in East Lackawannock Township, 60 miles north of Pittsburgh. Investigators said Loughrey told them he didn’t realize there was a bullet still in the chamber. “This happens all too often where people think the gun was empty,” Lt. Eric Hermick told The Pittsburgh Tribune-Review. Loughrey was trying to sell two guns at the store – one a scope rifle and the other, the handgun, state police said. The owners told Loughrey the store doesn’t buy guns so Loughrey and his son returned to the truck with them. Loughrey put the boy in the passenger seat and loaded the rifle into the truck, state police said. He was attempting to get inside and reached to put the handgun in the center storage console when it fired, they said. Loughrey was questioned by state police, who said he was cooperative and distraught. The shooting is being investigated as an accident, although Loughrey could face charges, including manslaughter and negligence, Hermick told the Pittsburgh Post-Gazette. “I know that little kid was everything to him,” Mark McLaughlin of Fredonia, a friend and co-worker of Loughrey’s at Superior Well Services in Fredonia, told the Tribune-Review. Messages left for the coroner’s office and at a listing in Loughrey’s name were not immediately returned. NEW YOUTH FIREARMS SAFETY CLASS!! The class will last approximately 2 1/2 hours, and will be a combination of classroom instruction and range time. This course is designed to introduce students to firearms in a safe and fun, interactive environment. Tuition is $75 per student. Class size is limited to no more than 6 students. In addition to regular Range Staff, there will be a minimun of one instructor for every 2 students at all times. At the completion of this class, students will receive a certificate, and permission to participate in a level two class that includes an introduction to handguns. Children under the age of 12 must be accompanied by any adult. I recently purchased this pistol, and am very pleased with it. The size is perfect for concealment, it rides nicely inside the waistband, or in a purse. (However, my recommendation is to carry on your person.) 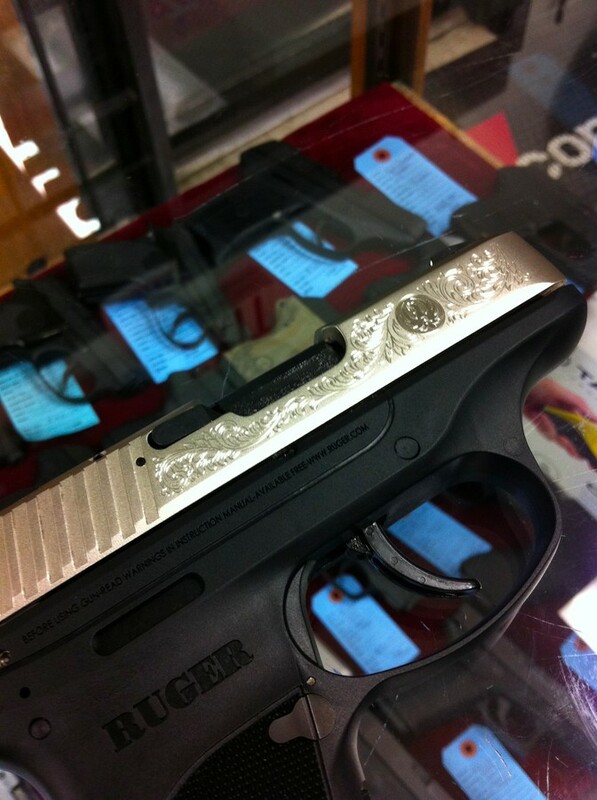 If you like engraving, but can’t afford a custom gun, this is definitely worth consideration. 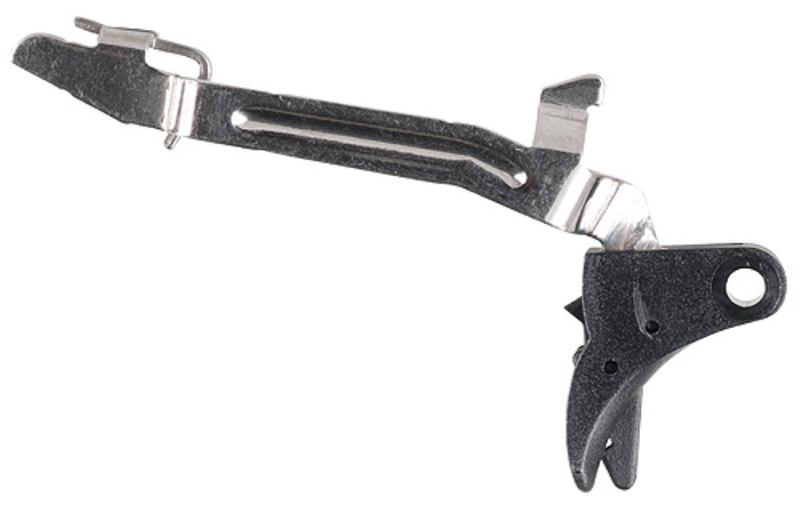 Keep in mind that most small, lightweight carry guns have notoriously heavy trigger pulls, so this will not be your first pick for plinking at the range. I have had no malfunction problems. The design follows the lines of the smaller .380 LCP in Ruger’s line. 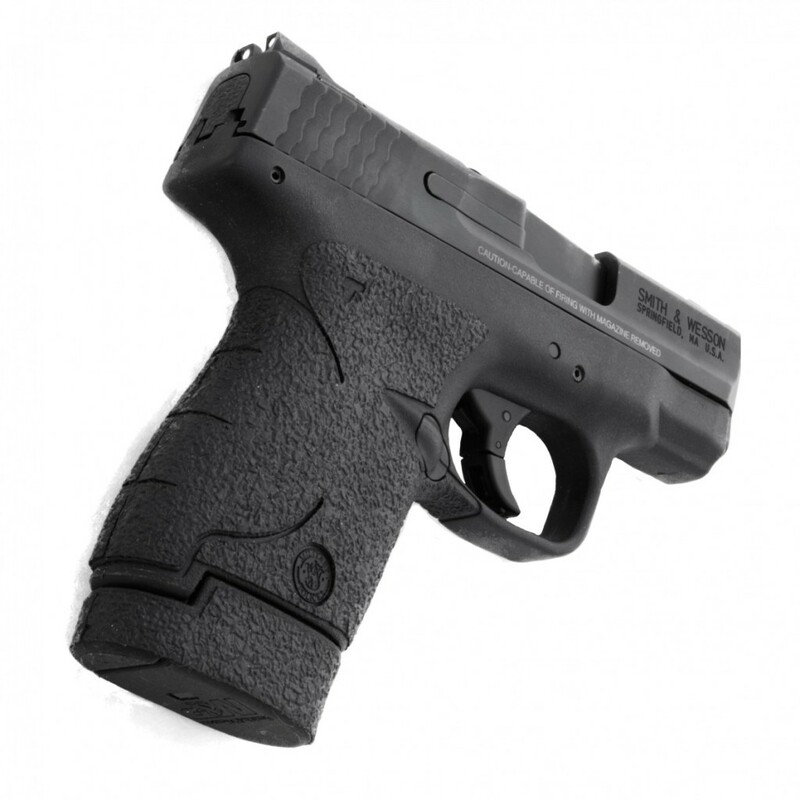 All in all, if you like the LCP, but prefer a 9mm to the smaller .380 caliber, this pistol is a great choice. And it looks good, too! Tyler snapped this photo of a limited edition Ruger LC9 that had just arrived at his local gun store. 1500 are being produced. I like it. I believe it is a Talo special edition. There are two varieties – Deluxe Silverand Deluxe Gold. The silver one has a silver Ruger emblem on a nickel plated slide (not stainless), and I’m assuming the gold one has a gold Ruger emblem. The silver is 1 of 1500, so I would assume the gold is the same, but I don’t know any more than you do. Here are some links (the titles are screwy, but you can see that one says a gold emblem and the other says silver). Quite a few assaults and other crimes have been committed while individuals are getting in or out of their vehicles. For the criminal, it can be the modern day watering hole. There is a hint of vulnerability when getting in and out of our vehicle, especially if we are trying to put objects in, such as groceries and/or small children. Our attention is focused not on our safety, but on juggling the objects and getting to our keys while trying to open the door and not strike the person’s car door next to us. Criminals know that and may look to take advantage of your distraction. As always, having a good game plan and situational awareness can minimize our risk in these types of situations. If we think like a bad guy, we can predict and defeat criminal opportunity. The parking lot offers many areas where a bad guy can hide and wait for you to come into range to pounce. The many other vehicles provide great concealment for them. When approaching your vehicle, make a point to sweep out away and scan the likely areas where one could be hiding. This may provide you with enough of a reaction time to key on their plan and thwart it. As you are walking, make an effort to look over the entire parking lot. Criminals would much prefer to ambush an individual who has their head pressed to a cell phone or who is watching their feet hit the pavement. If an individual or individuals are hanging around your vehicle and don’t seem to be getting in or out of adjacent vehicles, keep your distance and make it obvious you are waiting for them to go about their business. While approaching your vehicle and performing your scan of the area, have your keys out and ready, taking the extra time to dig for them in your purse or pocket may be the opportunity one needs to launch an attack. Carry the keys in your non-dominant hand, that way if you need to get to a concealed weapon, they keys will not be in the way. As you make it to your vehicle, walk around it a little so that you can see if any one is crouched next to your vehicle. Once at your vehicle, make sure you give a quick check of the back seat. Yes, this is the stuff of movies, but if Hollywood can think of it, so can the bad guys. Once inside the vehicle, lock the doors and secure your items for the travel. Like the gazelle gazing at its reflection from a waterhole, some people sit in their vehicles with their heads down looking over things like a receipt. This is a great opportunity for the lion to attack. If you think about it, this information is nothing earth shattering, but it can be the difference between being weirded out by a person in a parking lot and being seriously injured in a parking lot. At the end of the day, we have to maximize our potential for success, while minimizing theirs. What steps to you take in parking lots to avoid trouble? Stay Safe! BONNEY LAKE, Wash. – Two Pierce County homeowners pulled guns on people trying to break into their homes Thursday morning. Bonney Lake Police said a man was napping at his home in the 8000 block of 205th Avenue East when he heard someone ringing the doorbell. He ignored it, but then heard the person kicking the door. The owner grabbed a shotgun and confronted the intruder. The suspect then fled in a pickup truck, but not before the homeowner fired a shot. Police say there was no indication the car or the intruder was hit. Police said they are searching for the suspect and trying to determine if the homeowner will face any charges. The suspect is described as white, about 5-feet 8-inches tall in his 30’s with a buzz haircut and a “boxey” build. He was wearing a black leather jacket and gray gloves. The pickup was a blue, older model Ford with a black ladder rack and side step rails. There was a generator and a pink bicycle in the bed of the truck. In another home invasion in Gig Harbor, two young men rang the doorbell of a home in the 3200 block of 19th Avenue NW. The woman living there, Angela Tallman, an Army veteran, was home sick and did not answer the door. When she heard someone hiding in the bushes she said she grabbed her gun. She then saw the suspects trying to open the sliding glass door. The intruders are described as white, in their late teens to early 20s and wearing dark, baggy clothing. Also on Thursday in Federal Way, a man said he came home to find a burglar. The homeowner armed himself and chased the burglar into a nearby lake. The burglar had to be rescued and was eventually arrested. Pierce County prosecutor Mark Lindquist said citizens have some leeway in using deadly force to protect themselves or their property in their homes. But shooting a fleeing suspect who no longer poses a threat could get you in trouble, Lindquist said. Thursday’s incidents are the latest in a recent string of cases in which homeowners have used guns to defend their property. A retired Puyallup police officer shot and killed a man who was attempting to break into his home Wednesday afternoon. Last Friday, a North Bend homeowner shot and killed a man who broke into the bedroom where the homeowner and his girlfriend were hiding.